Pediatric dental care is an essential benefit that most health policies must offer under the federal Affordable Care Act. Health care plans on state exchanges are not required to include dental coverage, as long as at least one provider offers stand-alone dental coverage*. If consumers want pediatric dental coverage, they may have to pay for it without the help of a subsidy. Stand-alone dental coverage is often preferable because it typically has a separate, lower deductible than that of most health plans, which can reach up to $2,000. High medical deductibles would prevent most dental procedures from being covered at all. These kids are never going to get dental coverage, even though they have dental coverage. After a routine teeth cleaning and cavity filling, the bill could be $500 to $600 — which the patient will have to pay out of pocket. 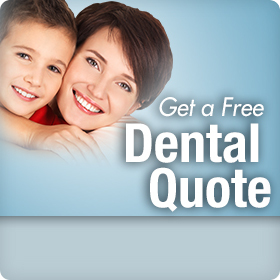 *Only nine states and D.C. do not offer stand-alone dental coverage; dental coverage there is a required component of health plans. Baby Boomers and Dental Care Dental Insurance: Will It Cover Teeth Whitening Procedures?